Escondido Federal Credit Union is your one-stop-shop, whether you're buying, selling, or refinancing your home, or want to use your home's equity to finance a home improvement project. 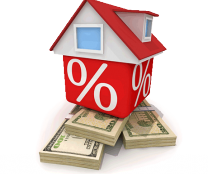 We offer you low interest rates and all the financing options you want in a mortgage loan. And you'll get expert guidance to help you make sense of it all and choose the best option. We provide all of this to you with the same excellent service you expect from us. For our 1st Mortgages, we've partnered with CUSO Mortgage to provide you with the best options and very competitive rates. For more information or to apply online, visit our mortgage website. We also offer Home Equity Lines of Credit (HELOC) at excellent rates! Whether you are buying, selling, or refinancing your home, look no further than Escondido Federal Credit Union. We've partnered with CUSO Mortgage to offer you low interest rates, and all the financing options you want in a mortgage loan. You won't need to worry about understanding your options--you'll get the guidance you need to choose the best option. And, of course, you'll get the same excellent service you expect from us. We can pre-approve you for a mortgage loan, so you can shop with confidence and be ready to act fast on that perfect home you find. To apply for a loan, apply online, visit one of our branches, or call us for more information. We offer Home Equity Lines of Credit (HELOC) at excellent rates! You can make the investment you've made in your home work for YOU! A Home Equity Line of Credit (HELOC) at Escondido Federal Credit Union gives you access to the equity your home has built up. With a low interest rate, our HELOC gives you inexpensive access to funds for all kinds of things you might have thought were out of reach. Like a swimming pool, money for school, or that dream vacation. Plus, you'll have peace of mind knowing that you have fast access to cash in an emergency. We can work to get you the best possible low-interest rates and keep your payments within your budget. Apply for a Home Equity Line of Credit online! * When you submit your online application, it is emailed directly to the credit union. 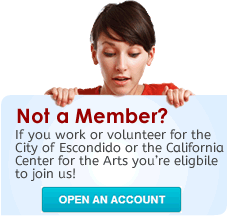 Although the credit union's email system is secure to intrusion from the public, it is managed by the City of Escondido Network. Therefore, the information is not 100% secured to credit union staff access only. Research Tools and Savings for Buying or Selling Your Home. If you're looking for a home, we can help you do that, and even save you a lot of money when you purchase. We've teamed with HouseRebate to provide you with access to online Multiple Listing Service (MLS) information for all homes in San Diego. Unlike other online MLS services, you'll have full access to home addresses without having to be contacted by a real estate agent or even having to register at all. If you use HouseRebate for your home purchase, you'll get a rebate of up to 1% of the home purchase price towards loan closing costs, which adds up fast in San Diego. Joining HouseRebate, will save you money on your home sale or purchase. If you're selling your home, you can expect to pay less commission through HouseRebate: 4.5% vs. the standard 6%. Start using the MLS or get more information about saving money at HouseRebate.